Hi Everyone! Come join us at the farm on Sunday November 27th for the first Fall 2011 Gymnastics Clinic! Call or email if you would like to join in on the fun! The end of the season here in Maryland is upon us and that always makes me think about my goals for the next year. I am always thinking about and revising andmy updating goals, but now is the time to lay out the plans for the next year. One of my many goals this season was to move my mare Believe, aka Bree, up to Preliminary and to possibly do an Intermediate or two at the end. As fate would have it, we did move up to Preliminary successfully but were not able to fit in the Intermediates. OK, it is what it is, and we horse people know that the only constant thing we can rely on is change. I was so thrilled with her first Prelim because she handled the show jumping with ease and grace and the cross country with boldness and maturity. 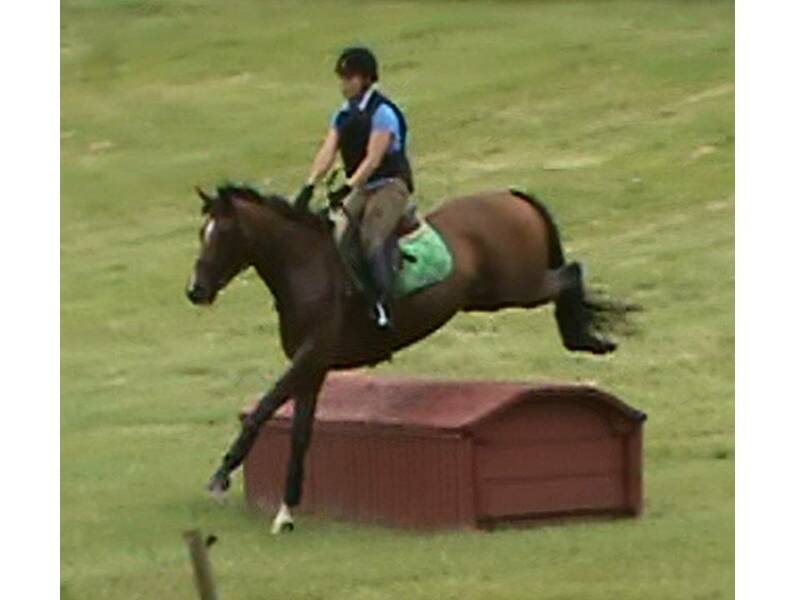 My goal for 2012 is to move her up to Intermediate and compete at the Fair Hill CCI** in October. YES! Miss Diggy Bear, affectionately known at home as Buttercup, is officially the little horse that can and will. She has just successfully completed the Young Event Horse Championships for 5yr olds at Fair Hill. Pictures and video coming soon. After spending a lot of September in her stall foot sore from a little too much trim, I entered her on closing day of the championships, just 16 short days from the championships themselves. Keep in mind that I rode her for the first time in about 3 weeks the day I entered her! Streeeeeeesssssss!!!! So many thanks to my vet for the help and the green light to go ahead. A whirlwind of getting ready followed. All our plans of getting her out to another competition or 2 and doing some good schooling as well had gone out the window, so we were feeling a little behind. 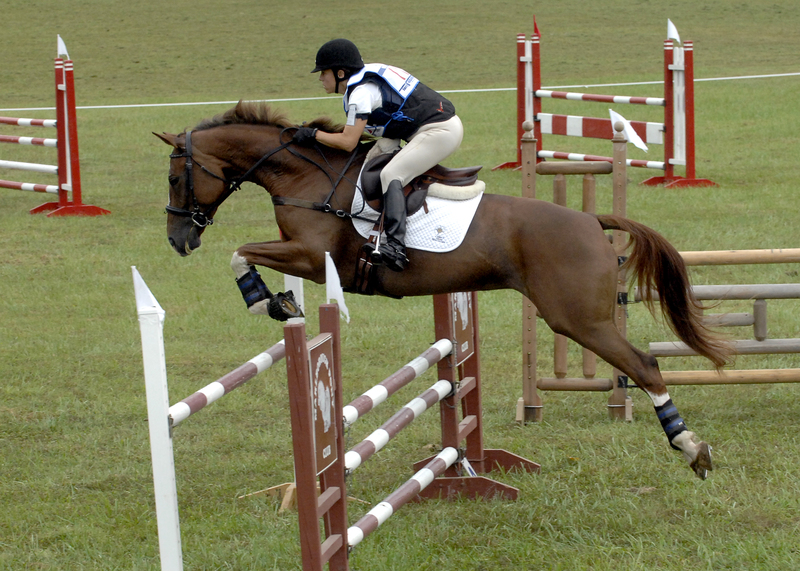 Fortunately the competition does not require endurance training since there is no optimum time for the jumping, and the course is relatively short consisting of several show jumps and then on to cross country jumps. Trish Gilbert designed a lovely YEH course at Fair Hill. The super fantastic horse in the picture above “I Can Do It!” is Miss Diggy Bear, affectionately known better as Buttercup. Today is the day I send in her entry for the Young Event Horse 5 yr old Championships at Fair Hill! Woo hoo!!! I am so excited because this is my first blog. I finally decided to join the modern world and dive in. Hmmm . I think that may also have something to do with the reason my beautiful mare is named Believe. We all have to believe, even when the going is rough. I believe in the horses’ ability to bring out the very best in us and lead us to do great things in life. That is a true gift. Enjoy. Samantha Allan and Jennifer Clover are exceptional trainers, competitors and professional horsepeople. They are dedicated to helping horse and rider build skills and maintain the highest level of horsemanship. They are available for training, from polishing the skills of an experienced competition horse to confidently and harmoniously starting a youngster. They are avalable for clinics and coaching, as well as boarding at their 25-stall Southern Maryland farm.